So I’m sitting here in the kitchen of my favorite KU fan down in Wichita with a wicked Donut Hole rush. What better time for me to take a moment and talk to all the waitresses out there in sports bar land. With the crew and all, we usually find ourselves plopped down in bar and stuck there for at least two games. For some of you waitresses out there, that could mean a table taken for your whole shift. 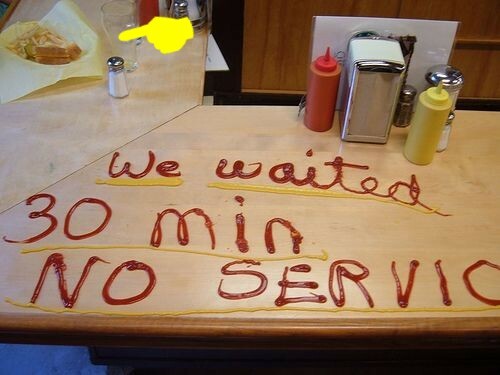 Because of that, you may not give the best service. Please don’t. Riding back in the car Sunday, while it shuffled through the snow sprinkling down in the Ozarks Sunday, I started going over just what kind of weekend I experienced. It was food filled, family and friends filled, and just enough football filled. We saw a true Border War this weekend and we were thankful for a great time. But before I jump on the recovery treadmill, let’s do a flyby of Skybox. Another week of football and there wasn’t much to choose from Top 25 wise. At least rivalry week kept the competitive juices flowing. And per the Yeti’s lady’s suggestion, we were letting the juices flow at Jaywalkers. It was an all day affair with a college like air, and we took full advantage of all they had to offer. What hoped to be a great day of football turned into a great day of hanging out at the bar. The first signs of winter hit early, as I strolled out of my apartment complex. The slight snow drizzles gently floated in circles as I made my way for the cold north toward KCI and Dirk’s Bar & Grill. 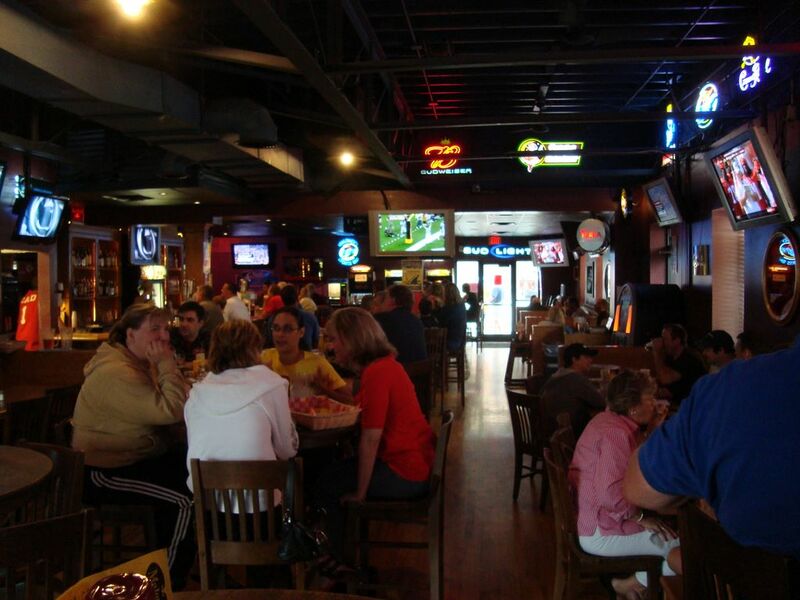 The week of football was a quiet one, but the cozy den of Dirk’s kept things nice and warm. It’s not the best barspot, but it was a welcomed distraction from the day’s weather and games. Too bad it didn’t distract from Nebraska fans hanging out there. 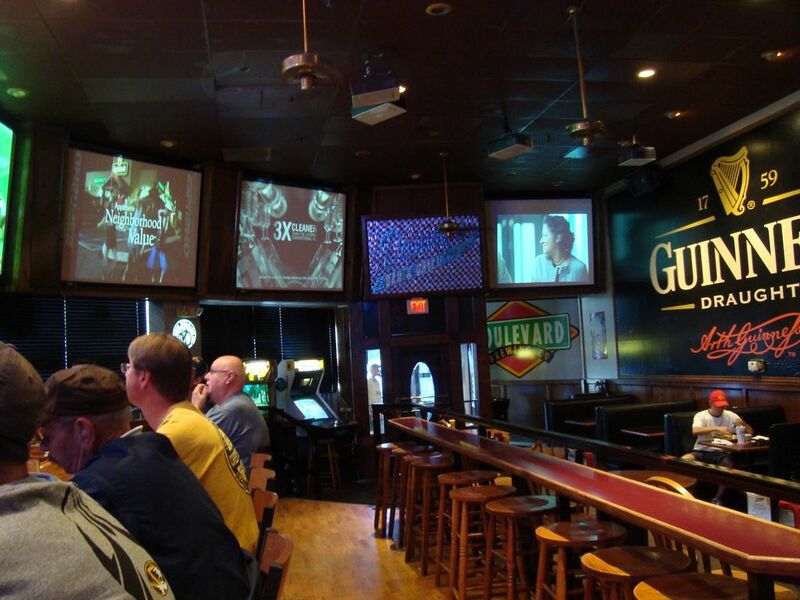 The barspot this week landed us at the Quaff downtown. The movement going on at the Power & Light district had a casualty in Tanner’s next door, so we wanted to hit the more established places next seeing as we hit up the flashy sports bars in the P&L. It was a bittery cold day Saturday, but the lukewarm games and warm friendship of buddies that dropped by, including Cabbottmtf, kept the time toasty. Unfortunately, the service was ice cold and the Quaff is on the clock. 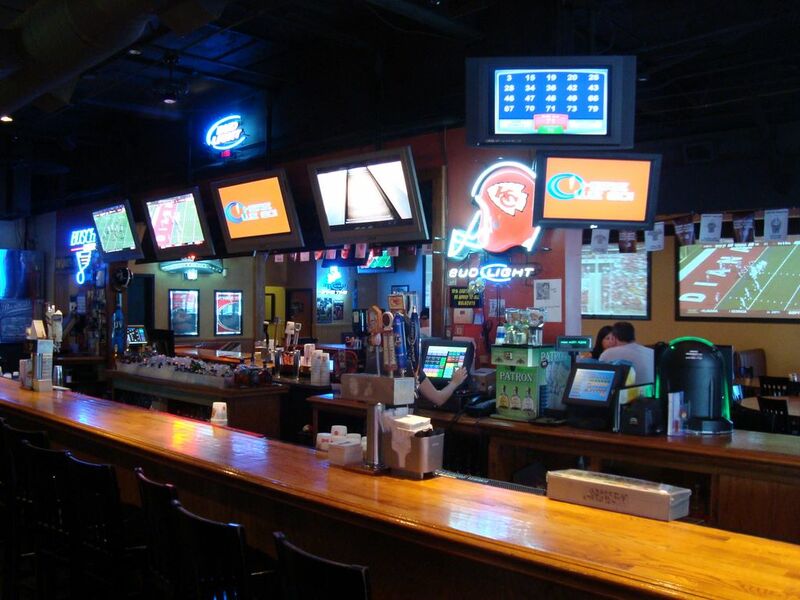 This week’s barspot hits up a franchise with the wacky folks from Buffalo Wild Wings. Raytown was the place we went to form the various locations around the area, and after the nice drive through Swope Park it seemed the right choice. I was fired up for the games as there were homecomings for some North schools and a big national contest in the South as well as the Big 10. 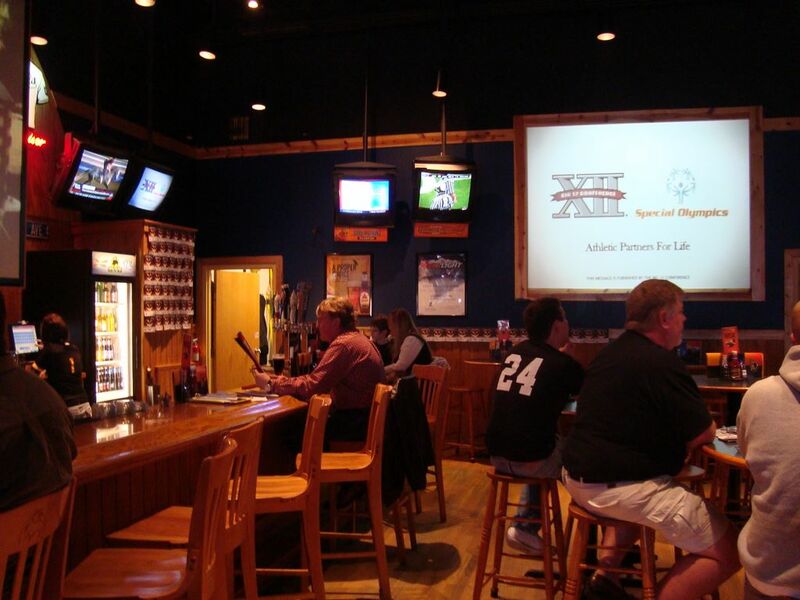 Buffalo Wild Wings also fired me up in other places Let’s hit the barspot. The Brooksider was already packed when I strolled in last Saturday, mostly with KU fans. The game was about to start and anxiousness was in the air. The barspotting crew at KCCGD knows this feeling all to well, as we made a stop here last year. 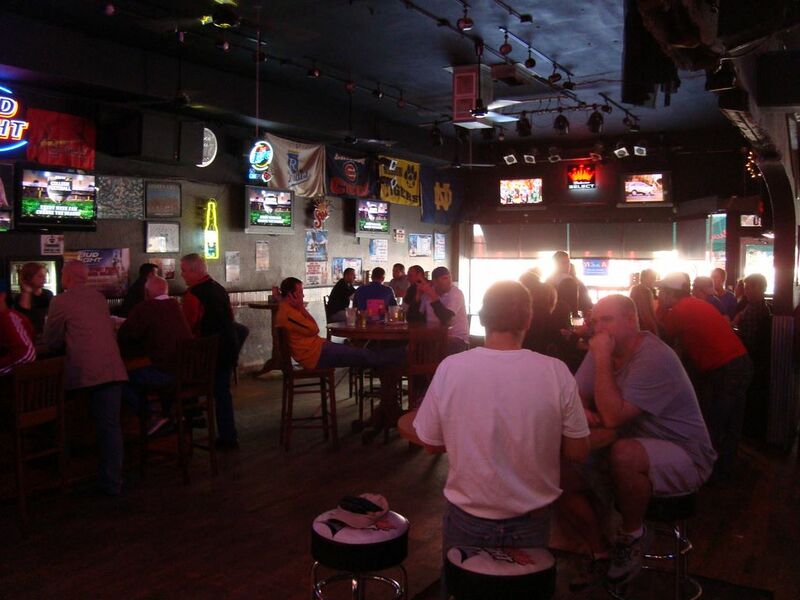 This time around we were checking out the place to see what’s changed and whipping up some mojo for Krizzou’s Missouri Tigers. There were changes at the Brooksider, alright, and there were unexpected changes on the field. Another stunning week of college football flew by and we here are the KCCGD spent most of the day just recovering. Apparently the football gods forgot to tell the teams that upsets are supposed to happen one or two times per week. What wasn’t very upsetting was our time with the folks at Ugly Joe’s. Krizzou, Jolly, Tyson, and company helped make this barspot one to remember. So let’s piece together what happened. It’s another week of football down and it’s getting achingly close to conference play. 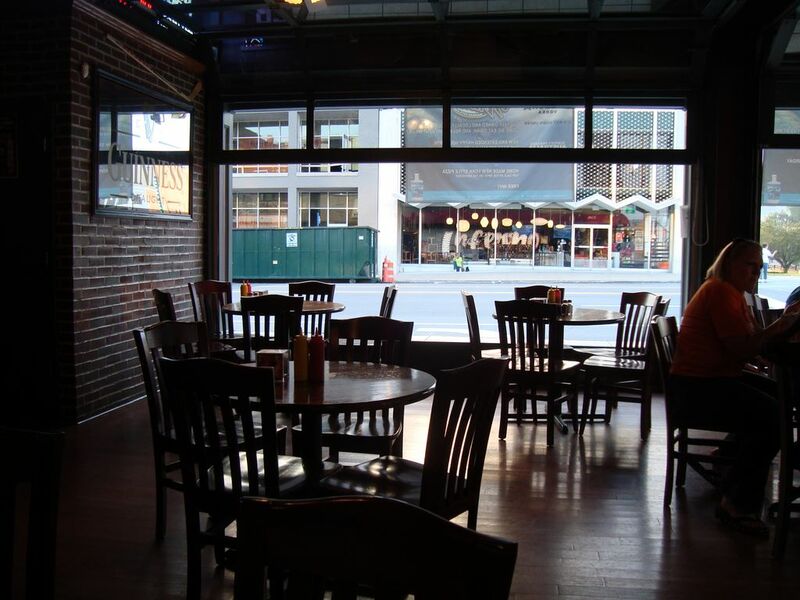 The day’s event took us to Willie’s next to the Power & Light district. It was kind of a blah afternoon after football leading up to some major action for the evening’s games, much the build up of non-con games before the real meat of the conference ball. At any rate we learned about premier teams, KU’s play, and some cottage fries. One of the bigger games of the week happened the previous night with KU narrowly losing out to South Florida in an exciting game. Too bad I didn’t pop out to see it because I was holed in waiting for the tornado sirens to blare down for the evening. So strolling into Maloney’s Saturday morning, I figured that the much of the severe weather was over. After watching the games, however, the natural disasters were all over the place. At least Maloney’s was a tiny comfort riding the day out. The overcast clouds could only hint at to what was to come for another day of college football as I pulled into the parking lot Saturday morning. For some teams, the rain was hard and heavy. For others, it was destination cloud nine. The warm comfort of Danny’s Bar & Grill covered me as I was covering them. Isn’t it ironic? Don’t ya think?